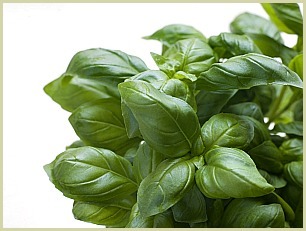 If you've ever wondered how to grow basil, here is a simple guide to help get you started. Luckily, with a bit of care, growing the herb is fairly simple, easy to manage and very easy to use! When it comes to this herb, there are really only a few rules to follow, and this delightful herb should really do all the work on its own. All it really needs is warmth, water and shelter from wind. General Growing Notes: It does best in well-drained soil, so avoid parts of your garden which are prone to being waterlogged or developing puddles. It also thrives in pots or containers, but just make sure that they drain easily. It’s a good idea to line the bottom of the pot with bits of broken pot or stones. Recommended varieties to grow include sweet and Thai basil. After the risk of frost has passed, find a place that will ensure the plant plenty of shelter, sunlight and water. Clip off the largest leaves about half way down the plant. Pick a leaf or two off each plant, so as not to stress one plant too much. Wait another week or two before your next harvest. 3 or 4 plants will keep giving leaves all season long. At the end of the summer, it will start to flower. Cut the flowers off in order to keep those flavour-packed leaves growing well. If you want to store some seeds to sow next summer, just put the flower heads in a paper bag, seal and hang upside down to dry in a dry, warm airy place. So now you know plants that will give you fresh and flavourful leaves all through the growing season. And you can freeze or dry the leaves for use through the winter months. A favourite way of using the chopped leaves is to make a drink from them Click here for my basil tea recipe. Go to the main how to grow herbs page.